The Best Draught-Proofing Solution For Frameless Windows. The gap between the two glass panes of shugg windows (also known as frameless windows) is a wide entry way for air leakage. Fix your draughty windows and avoid your home heating/cooling from escaping by sealing your window with the GCE6 Draught Excluder! 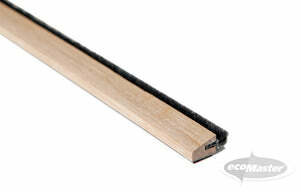 The Shugg/Frameless Window Draught Excluder, otherwise known as the Glass Clip Edge for 6 mm windows (GCE6), is a plastic edge strip with a wipe brush seal. 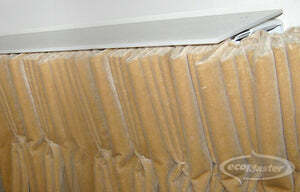 A plastic edge strip is fitted over the edge of the glass and can be cut to size during installation. 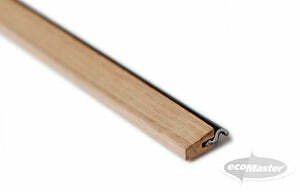 It is used to stop draughts from coming in between sliding panes of glass where there is no timber frame. The draught excluder is fitted to make a secure seal in the center of the window between the two panes of glass.